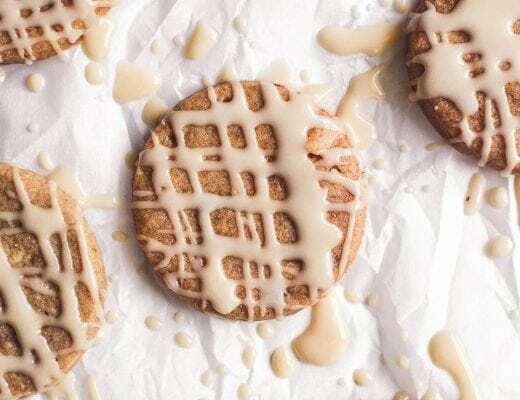 Pumpkin Spice Biscuits ~ the stuff pumpkin lovers’ dreams are made of…tall, golden, flaky biscuits enriched with pumpkin puree and a hint of Fall spices. Pair ’em with every soup and stew you make this season. I love BISCUITS, they make a complete meal out of the simplest soup or stew. I based this recipe on my SWEET POTATO BISCUITS WITH COUNTRY GRAVY. In that case I enriched the biscuit dough with the scooped out flesh of a baked sweet potato. 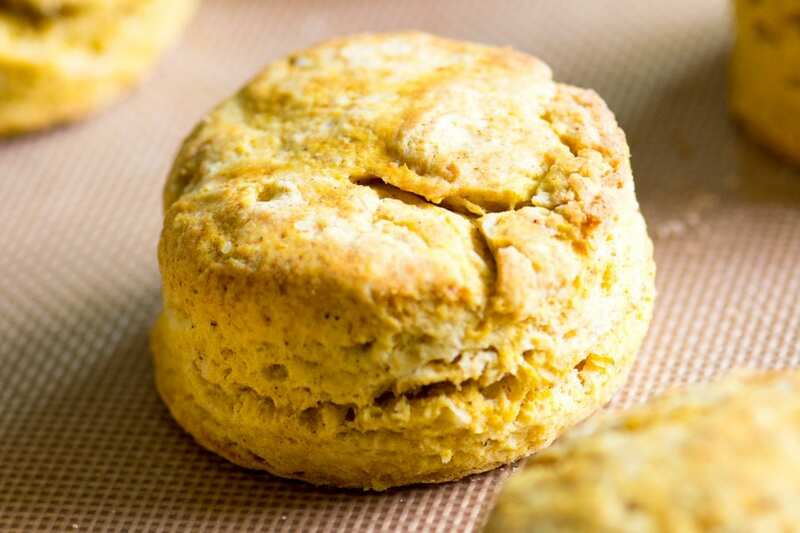 These pumpkin biscuits are even easier because they’re made with canned pumpkin. In fact this is perfect for using up what’s left in the can after making PUMPKIN BREAD or PUMPKIN CAKE. Make sure your oven is at 450F. Use an oven thermometer to check. Use COLD butter and liquid ingredients. Replace your baking powder every 6 months so you know it’s fresh when you need it. Use a food processor or a pastry cutter to cut the butter into the dry ingredients, and work quickly so the butter doesn’t warm up. Make sure your dough is not too wet. A dry dough makes a lighter biscuit. It should be a bit ‘shaggy’ when you turn it out onto your floured surface. Don’t over work the dough, knead it just a few times to bring it together. Working the dough brings out gluten in the flour which will make a tough biscuit. I like to roll my dough fairly thick, at least an inch, to get the tallest biscuits. Don’t twist your biscuit cutter, make a straight up and down motion to cut your biscuits and lift the cutter straight up. Twisting the cutter seals up all the layers in the dough and the biscuits won’t rise as well. 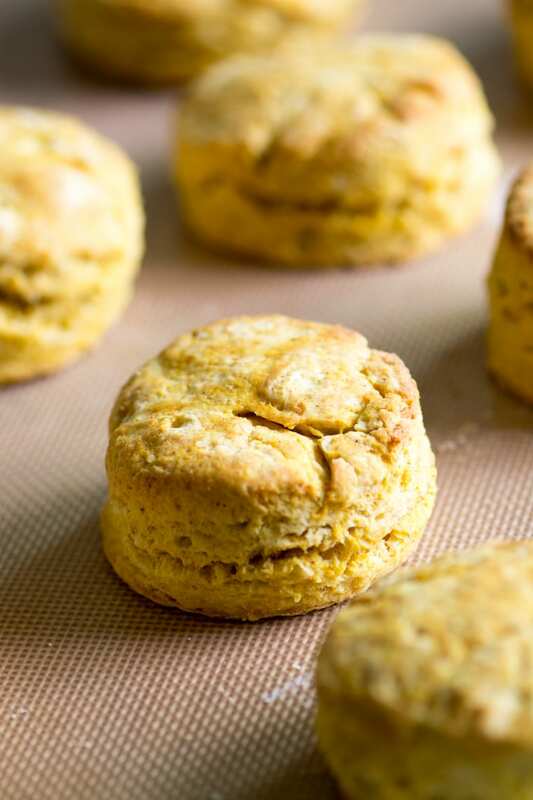 Plan to eat your biscuits right away, they’ll never be as good as they are warm from the oven. Cut the butter into pieces. Whisk the pumpkin and buttermilk together in a small bowl. Put the dry ingredients in the bowl of a food processor and pulse to combine. 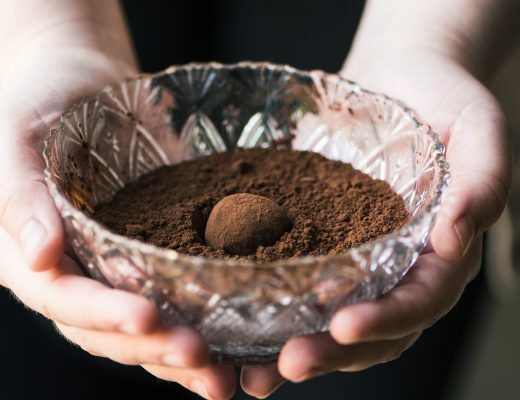 You can do this by hand in a mixing bowl, too. Add the butter and pulse until the mixture resembles coarse crumbs, about 20 pulses. Slowly add the pumpkin/buttermilk mixture, pulsing or stirring as you go. If the dough seems too dry, add a touch more buttermilk. If it seems excessively wet, add a bit more flour, but don't over-work it. Turn the dough out onto a floured surface and bring it together into an 8 inch disc. Knead it a couple of times if necessary to bring it all together. Cut 8 biscuits with a 2 1/2 inch biscuit cutter. You will have to reform the dough, gently, a couple of times. Refrigerate the cut biscuits for about 20 minutes, while you clean up. Bake for about 12 minutes, until risen and golden. Enjoy asap! Add a little more sugar for a sweeter biscuit. Substitute butternut or any other winter squash puree for the pumpkin. Don’t forget to pin these Pumpkin Spice Biscuits! I love my pumpkin cornbread with chili, which is why I think of these as going especially well with chili. Acorn squash stew sounds amazing! Oh, my gosh I ADORE your honey pour shot! 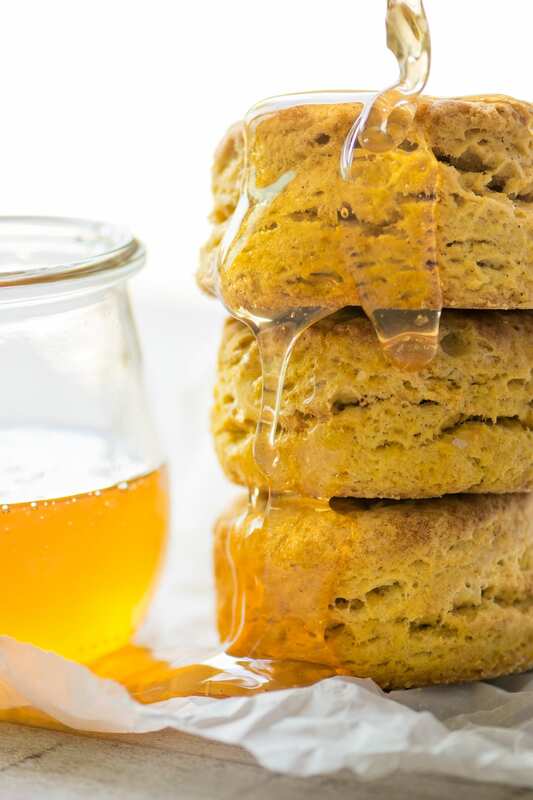 I can only imagine how tasty honey would be over your pumpkin spice biscuits! I can’t wait to make these when I make chili or soup! I would make chili just for the excuse to make these ! That picture with the honey is unbelievably stunning! I need these in my life. Pinned! These biscuits look crazy delicious! Perfect with a bowl of chili! Bring on pumpkin spice everything! :) These biscuits look irresistible! These sound amazing !! We LOVE biscuits and pumpkin spice biscuits have to be good! Love your tips. I think I always freak out at the point that the dough looks shaggy- even though it should be that way. I always think I’ve done something wrong. 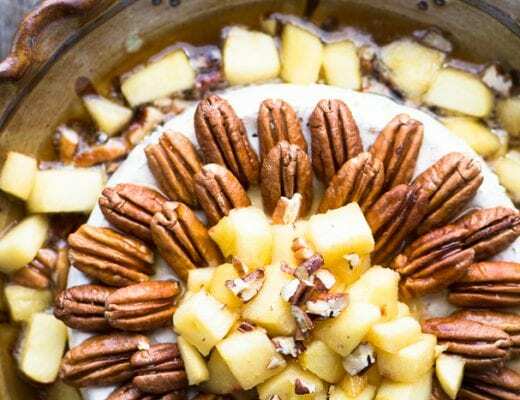 Thanks for the tips and the yummy fall recipe! I don’t like many pumpkin recipes unless it’s using fresh pumpkin but this I would totally try out. It looks amazing! You could definitely do this with fresh pumpkin puree, although I would cook it down a bit to remove some of the moisture, canned tends to be a little drier. I love pumpkin spice in a more savory situation. It’s definitely more unique than all the sweets in the universe right now. Yum…. Pumpkin is so versatile that way, I love the savory stuff, too. Wow! I LOVE pumpkin spice but have never made pumpkin spice biscuits before! Love your creativity, looks delicious. Thanks Catherine…I think every family has at least one pumpkin freak! Gosh, we need to come up with a low carb version, Tricia…I’m on it! 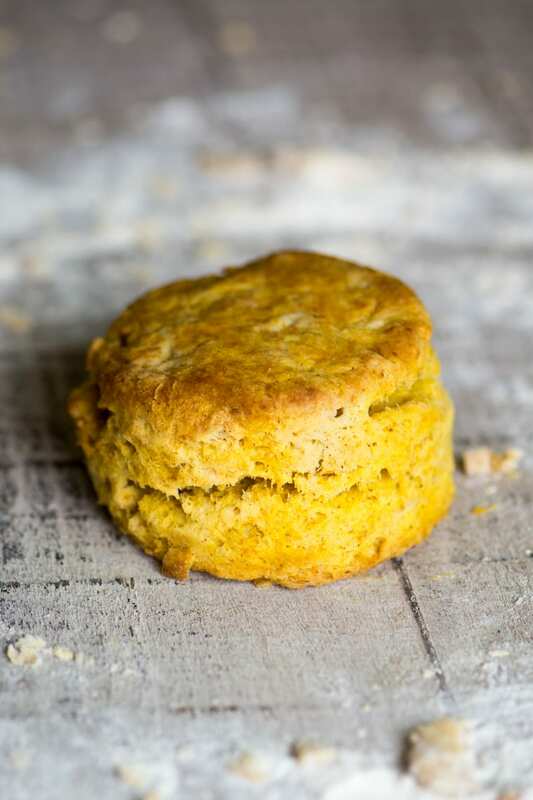 I too just made some pumpkin scones and now I want to go bake another batch of this biscuit…they look awesome!